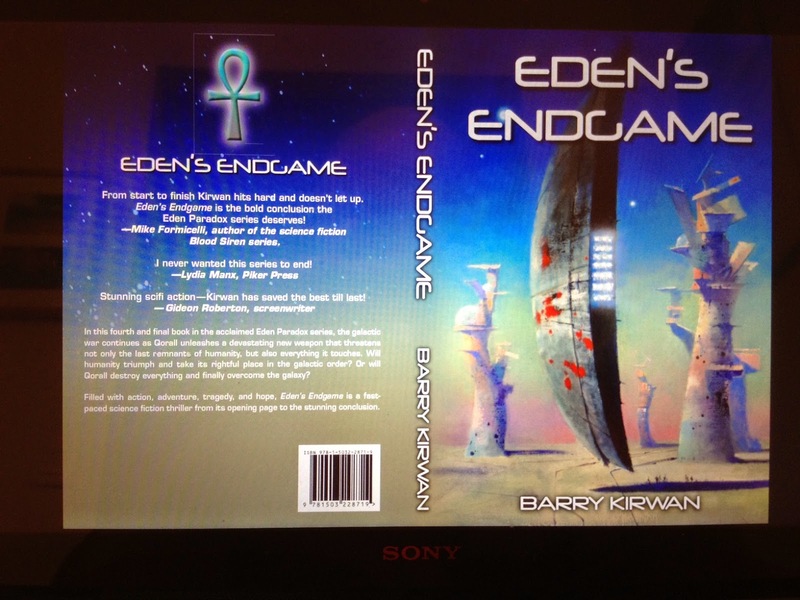 I received the cover proof for Eden's Endgame the other day - the original artwork on the cover is by acclaimed Science Fiction artist John Harris, and it's been nicely blended over the spine and back cover with stars and the ankh symbol, relevant to the entire Eden Paradox series. The front cover is based on one of the chapters where a mindship called Shiva is attacking the Alician home planet Savange. 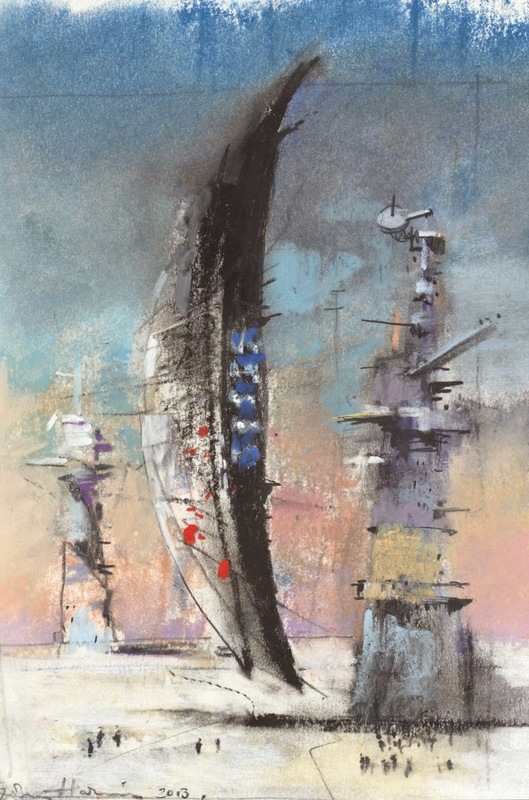 I sent John some text from that chapter, and he produced an initial pastel drawing, and then I asked for the towers to be less like battleship towers (they looked a little too human), and to be made more alien. There are also some figures at the bottom to give an idea of the size of the ships and towers. Shiva is also pretty important to the entire book, so it felt appropriate she (it's always a she, right?) was on the front cover. A mindship is a sentient ship, and I confess I have borrowed this idea from authors such as Banks and Hamilton, not to mention Farscape! The ankh symbol relates to the Kalarash, a super-intelligent alien race who don't appear until the very end of the second book, Eden's Trial, though it's significance isn't discovered until book three, Eden's Revenge. However, in the last main chapter of Endgame, yet again the ankh symbol features, in the final battle for control of the galaxy. I must say it's a rare privilege to (a) work with such an esteemed artist, and (b) be able to direct the cover design for my book. Very happy with the result. On the back cover I have some review 'blurbs' from three of my seven reviewers: SF author Mike Formicelli, who helped out refining a few of the science aspects (e.g. on Hawking radiation and supernovas), Lydia Manx, long time fan and reviewer for Piker Press, and screenwriter Gideon Roberton. Mike and Gideon in particular gave me some things to think about in the final revisions, which I'm happy to say are now done and dusted! I'm now waiting to see the sample copy of the book which I should receive in the next week. Then I can add it to the collection and blog the release date of both the paperback and the kindle version. Several reviewers have said they are sad to see the series end, and of course, so am I. I'm working on new material, though, so expect to see some blogs on that in Spring 2015.